This weekend we can experience a world-renowned dance festival, a free concert, Third Friday, and a food truck rodeo! 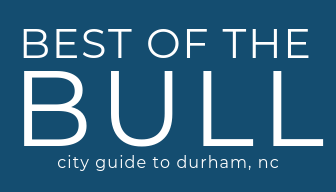 Here’s a roundup of what we’re doing this weekend in Durham! The American Dance Festival kicks off this Thursday! Featuring 53 performances by 26 companies and choreographers in 7 different venues. We love the concerts on the lawn at American Tobacco Campus! A great kid-friendly, FREE event! Nikki Hill is a remarkable singer fronting a band that will make you believe in rock and roll again. The NC-based band has played their grizzled, edgy songs for audiences across the US, Europe and Australia. Nikki Hill is a force. Emily Musolino opens the show. Emily is a Durham, NC native who mixes soulful vocals with shredding blues rock guitar riffs. The depth of emotion in her voice is stunning and her songs have a classic sound and lyrics that tell compelling stories. Every month we’re excited about Third Fridays! If you haven’t been you need to check out this gallery crawl with live music and other performances. Maps available at the Visitor Info Center and at each participating location. The team will honor the movie throughout its game on Friday, June 15. The celebration will come 30 years to the day of the film’s world premiere, and the Bulls will showcase numerous artifacts and props from the movie’s set. Additionally the stadium video board will showcase different features from the movie’s history, and Annie Savoy’s 1959 Volvo will be on display. The Bulls’ Bull Durham characters Nuke, Crash and Annie will be on-hand to greet fans and take pictures as they enter the stadium, and there will be a Friday Night Fireworks show following the game. That evening the Bulls will also reprise the throwback uniforms worn for the 25th anniversary celebration, which are inspired by the uniforms the team wore in the movie, and throughout the game the jerseys will be auctioned off with all proceeds going to charity. The Driver Open Street Festival is a community led Bull City Play Street in East Durham. Play Streets close neighborhood streets to traffic, and open that space to the community to encourage physical activity and healthy living. The festival will have fun activities for kids and families, organizations sharing resources and information with residents and a space for neighbors to get out and get to know each other. The 14th Annual NC Juneteenth Celebration will be held in Durham, NC (city in which the Civil War and thus, slavery, ended 152 years ago). A fun filled, educational and uplifting event, with entertainment throughout day featuring national recording artists & local performers, food & merchandise vendors, health fair, kids zone, exhibitors & more! Live music from the Triangle’s Go-go band, Project 919 Band.